This morning I had the ingenuous idea to check out my blog stats – I don’t know why – it came out of the blue. Needless to say that I wasn’t impressed with the counts as the hits on my blog have been dwindling since I had made the change to simplified, short, general weekly forecasts. So, it was to be expected and I also haven’t nourished wrong hopes in this regard when I decided that I have to dedicate my time toward more rewarding projects, which would bring returns. But still. My ego was hurt a little bit; my sense of Self was ‘attacked’. However, for one, the situation provided a “reckoning of my invested energies” and at the same token it motivated me in a creative, Self-determined sense, thereby activating my ‘fighting spirit’. Besides, I realized there’s still a considerable number of people, following this blog regularly – thank you, friends and readers – it’s very much appreciated! :) Anyway, I haven’t concerned myself too much and moved on with my day until I drew the “3 of Swords”, which I found quite disconcerting. According to the interpretation given, it’s a rather negative card, telling a story of separation, pain and suffering as a result of my actions. Unsurprisingly, I had to struggle for a while to regain my center, because all I could think of was that I was about to engage in one of those nasty arguments with J, which have been killing me slowly over the years, whereby I have to face up to my powerlessness in an adverse situation that hasn’t helped my personal issues with anger (Mars in 12 conjunct ASC/opposite DSC/Vesta). I certainly know what the term “irreconcilable differences” means. Thus, I prepared myself mentally for the encounter later at night, but he was in an elevated mood, even though the Sun-Mars opposition had squared his natal Vesta in Taurus in house 5. The outcome for him was very positive and he couldn’t wait to tell me everything about it, which meant he could actually take a few questions and comments from my side without feeling offended and getting all moody and cranky over it. Naturally, this raised my curiosity about the message of the card and once I had slept over it, my conviction grew that I can relate it to the occasion in the morning. After all, this card belongs to the suit of the swords and therefore indicates processes on the mental level. It’s certainly interesting to note, why it stressed me so out in the wake of the Leo Full Moon and the second Saturn-Pluto square. 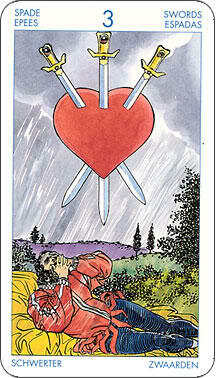 The Tarot card of the day was the “Nine of Cups”, also known as the Wish Card. This card signifies an accomplishment or other success and is backing up the Vesta-Pluto trine. I drew the card after I had written the previous blog, wherein I had stated “to be careful what to wish for”. At the same time had I realized that it has been my soul’s calling all along to counsel and to help others. In a flash of insight I saw the larger process that’s been at work in my life and how it has unfolded over time through “a hierarchy of offices” as Dane Rudhyar would say, based on “the opening of new levels consciousness” according to the Sabian Symbol pertaining to the zodiacal degree that Vesta is currently transiting, which is the degree of my natal Mars, who is the ruler over my 9th house of the higher mind or higher learning. During the course of the day I became moreover aware of the necessity for experimentation and inventiveness in regard to my creative projects and causes. Predictably, I didn’t have the best start in the morning as I would have preferred to sleep a little bit longer, but I had to follow the call of duty, because Wednesday is garbage day here. So, I quickly devoured my breakfast and then rolled up my sleeves to get this over with. Meanwhile, it has been getting colder outside with occasional bouts of snow and my wellbeing has been ‘decreasing’ in sync with the falling temperatures. Once the garbage sat on the snowbank, flanking the street, and all the floors were mopped, I sat down on my desk to recharge my batteries. With my energy level so low I was struggling with myself as the time came for my daily workout. I didn’t feel up to it, yet my inner disciplinarian insisted. However, it didn’t take long for me to put the weights down again as I was ready to break up, but continued anyway, only to cheat toward the end when I looked at the time and was thinking that I still had to go to town and it was already noon. So, where would that leave me creative-wise? 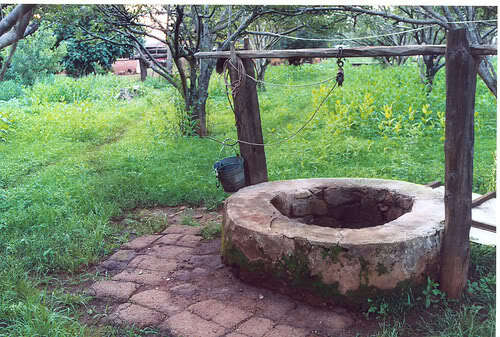 Besides, I could use some fresh air as my whole body was already protesting this ‘house-boundness’. Anyway, in the afternoon when I was writing on my blog, Carola IMed me again. She was suffering from the flu and some other ‘worries’. Yep, the girl (woman) is in dire need of counseling, which made me think of the old saying “be careful what you wish for” – as things usually turn out different from what we’ve imagined or hoped for. 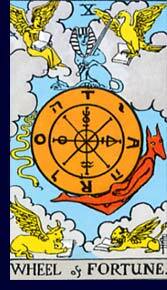 Tarot Card of the day was the “Wheel of Fortune” – do I need to say more? 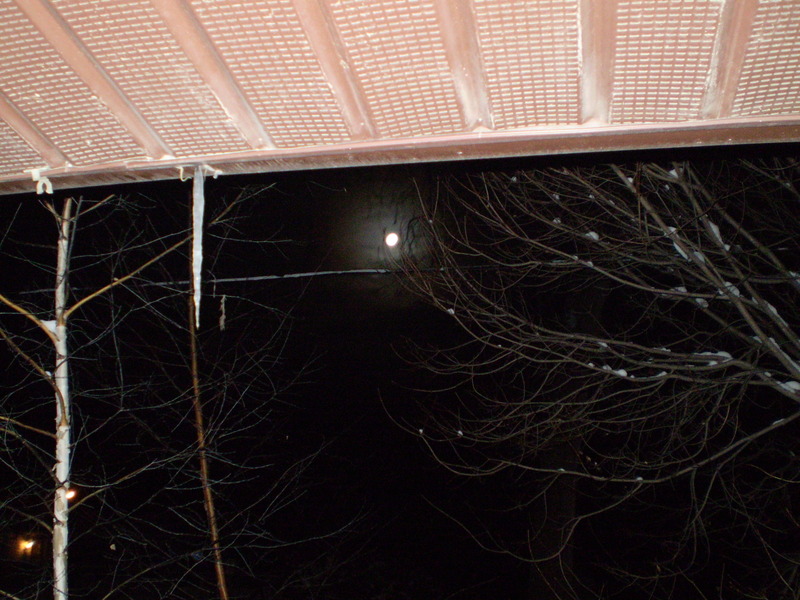 And this “knocking on my door” would not stop there – to my surprise my daughter called at night. 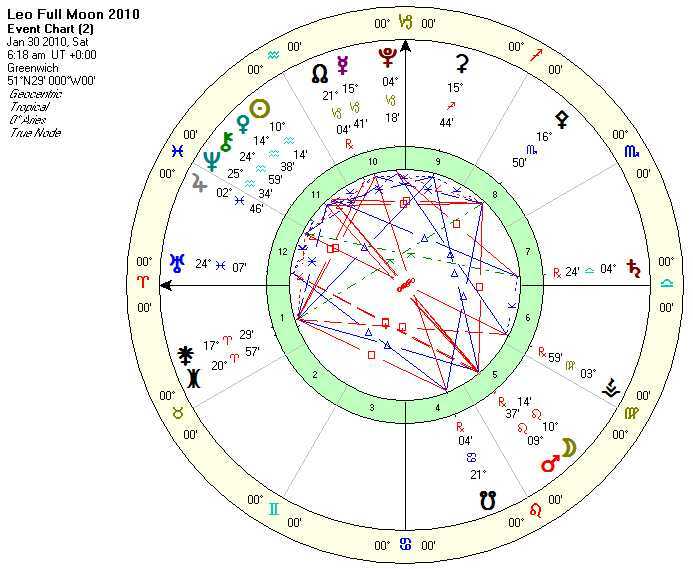 What she had to report was worse than I could have envisioned when I had examined her Solar Return chart – crossing my fingers here! – her partner had come down with a very serious ailment and had been scheduled for surgery this day and than they canceled 2 hours prior without giving specific reasons or offering suggestions that would help to improve the condition. Although she seemed calm with her Capricornian Venus-Sun conjunction well stacked away in her 12th house, I knew she was reaching out for some kind of advice and consolation, which is tough to pass on if one considers that the healthcare system in Canada is in terrible shape – for instance, her dog got treated right away on a Sunday when he cut his leg, but when it concers real people it’s a whole different story (I know we’re talking vets and physicians here, but seriously, one has to wonder). One has to wait for MONTHS to get an appointment with a specialist, only to be told than that they can’t find anything wrong! Well, all I know is that one can’t afford to fall sick with something serious here in this country, because then one will be doomed! As she already underwent an experience of this kind a few years back with a condition we assume is acid reflux disorder, she’s well aware of the implications and still tries to remain strong and is focusing on a positive outcome. I suggested some foods and fluids he should have and others he’d better not touch and also that she should look up alternative medicines and such. That was all I could do – I wish I could be more helpful. I’m reluctant to look at his chart. I know I have it saved somewhere; in the same way as I know that it contains a cardinal cross (yes, I attempted to talk to her about these charts, but she never seemed to have the time). 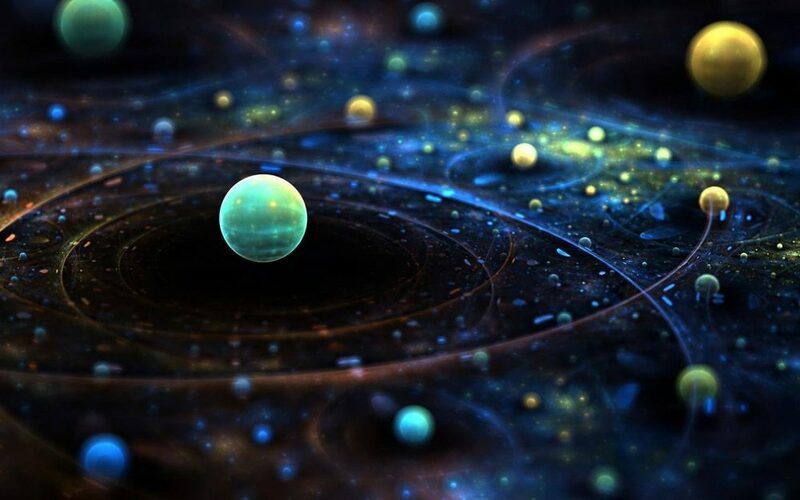 The Wheel of Fortune has turned and the Cancer Moon highlighted the themes in the context of nourishing, the maternal and heredity – she truly hit home and I for my part have to answer the calling (Vesta-Saturn). With the Moon traversing Gemini time passed by for me writing, reading, responding to mail and making this important phone call to my mother-in-law. She’s already counting down the days until I’ll be there again to assist her during the time she’ll be having her next eye surgery. We’ve talked for quite a while. J had said that he would be late and when I saw that Moon-Uranus square in the astro forecast I got a good idea about how late it would actually be and I was right on! Of course, that had to happen the night before garbage day when I have to get up early. Well, that’s part of the square between our Mars-Ascendant conjunctions, which is extremely challenging for both of us. However, at least did he take a moment and poured some drano in our blocked bathroom sink, whereas everything else had to wait again. Admittedly, I could’ve done that by myself if I only would be able to open the lid on this bottle, which is a problem I have with more things. One could almost call it a “handicap”, especially with Mars opposite Saturn in incompatible signs, it extends to all kinds of locks and lids. For instance, J opens the little bottles from the drugstore for me that contain the prescription drugs and also the bottle with the mouthwash and then has to put the lid back on in such a way that it won’t lock again or I won’t be able to reopen them. If we buy the coffee at Tim Horton’s he has to ‘poke in’ into the plastic lid for me so that I can drink from this cup. 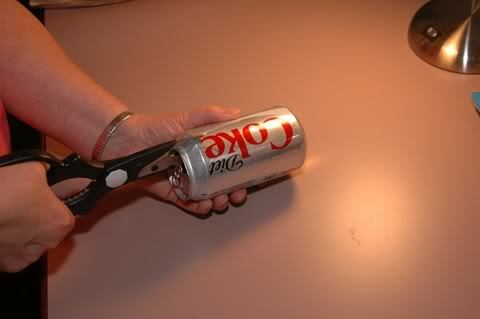 The little key or ring attached to the cans usually breaks when I lift it up. No matter how often I try it won’t happen for me. Originally, I thought I’m gonna lay down on the couch for a while to have a little nap for another hour as it was still an early time, but I was so tired that I slept in and only woke from the dripping sound coming from my badass rabbit, who demonstrated her discontent, peeing down to the floor once again! She also hadn’t touched her food, not even her treads – so, this was quite a statement and was a ‘great’ start in the day for me. As I opened my mail, I got ‘greeted’ by a change in plans – nothing big really and something I had an inkling about – one could almost say I saw it coming. Still, as I read through the suggestions, resistance grew inside me and I became defensive to a point, where anger and frustration overwhelmed me and this was NOT somebody else’s doing, but my own. Once the initial feelings settled down, I realized that I looked at this from the wrong angle. In fact, my ‘desperation’ was caused by my personal circumstances, which are a source of unceasing discontent and the friendly suggestions that were sent my way had reminded me of this, thereby triggering my inner rebel. So, the drama that had been playing out in my mind was the result of me letting myself be controlled by the situation – even being victimized. As soon as I applied a different viewpoint, the ‘problem’ practically vanished. Suddenly, I remembered the times when I used to welcome a creative challenge and at the same token I felt confidence returning and kinda ‘knew’ in that moment that I can do this. Moreover, I wondered why I didn’t realize this earlier, especially since the suggestion made complete sense to me. The answer popped up in my mind right away: “you got stuck. you sank so deep in that rabbit hole that you have to ‘box’ yourself outta there.” After that minor crisis I was ready to go. I could feel the dynamic energy driving me and propelling me forward as the “Eight of Wands” I had drawn promised. Thus, I made quite some headway in the afternoon. 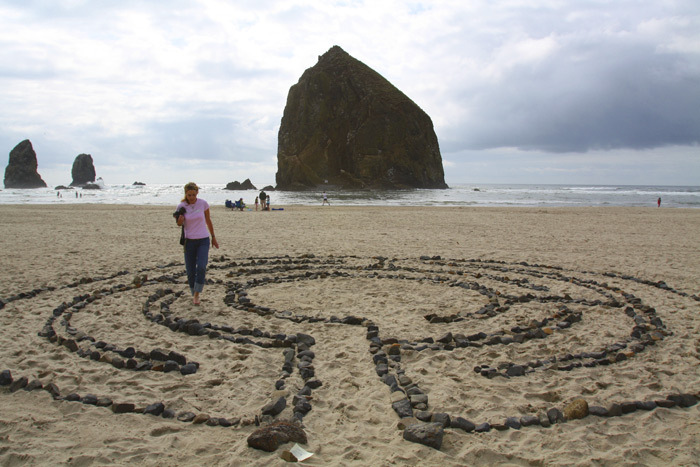 With my creative well ‘unearthed’, creativity began to flow.